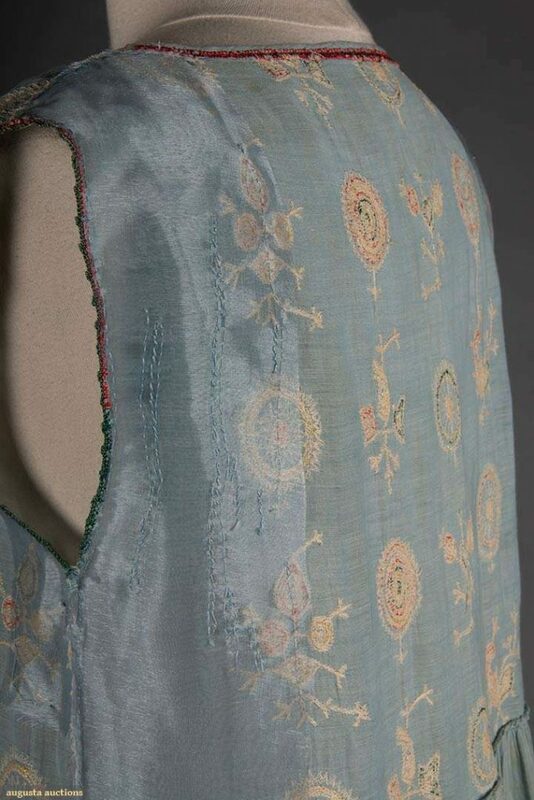 Maybe it’s the fragility or the resilience or both, but I find the mends on this 100+year-old, embroidered, blue linen dress that Paul Poiret made for his wife and muse Denise to be very moving. The upcoming auction at Augusta features several lots of Poiret from the family, which were originally sold at Druout in 2005. The provenance is topped only by the combination of couture and boro. Author gregPosted on October 10, 2018 Categories etc.